Australia is mesmerising – a remarkable continent encompassing the spectacular and the soul stirring. In this Ultimate Luxury Itinerary experience a land of huge contrasts with untouched deserts to explore and unforgettable spectacles to gaze upon and brilliant reefs that are perfect for scuba diving and snorkelling. Dotted around the coast are sophisticated cities such as Brisbane, Adelaide, Perth and Melbourne – the latter a haven for the fashion conscious with its artistic café culture. Discover the countryside on horseback, tour by 4WD vehicle, mountain bike through the valley or simply gaze at a canopy of stars in the stillness of the night. In Sydney the attractions are many, spanning harbour bridge walks, designer shopping and world-class dining. Take a seaplane to Sydney’s northern beaches for lunch. There are epic rail journeys to look forward to aboard the Ghan or the Indian Pacific, and an infinite choice of self-drive options, perhaps taking the Great Ocean Road to Adelaide with a stop off to sample the vintages at South Australia’s award-winning wineries. Across the Bass Strait lie Tasmania’s wild and green valleys, the untamed national parks proffering a vast expanse of hiking trails. The Australasian and Pacific Rim cuisine is outstanding, and everywhere there are luxurious resorts and hotels to pamper and cosset after the day’s explorations. Let your antipodean adventure begin. In this itinerary we can showcase the best of Australia. Start in Melbourne or Sydney and experience what the cities offer best, go outback and explore the ancient Flinders Ranges, discover the wildlife of Kangaroo Island before relaxing in possible the ultimate location for exploring the barrier reef - Lizard island. 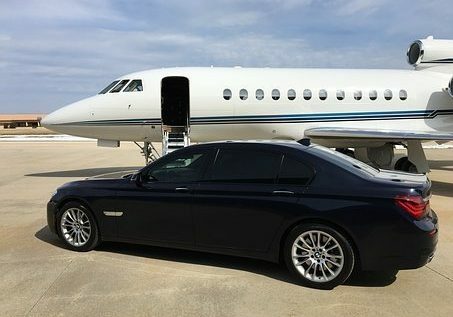 There are many luxury itinerary options, including small planes and helicopters to get around easily, that it is impossible to highlight them all here. Iif you are planing a trip to Australia then look no further as we are your one-stop travel expert for Australia. Accredited by Tourism Australia we can co-ordinate all the elements of your holiday including flights, stopovers, accommodation, sightseeing and tours from start to finish. Simply contact us for your personalised itinerary. 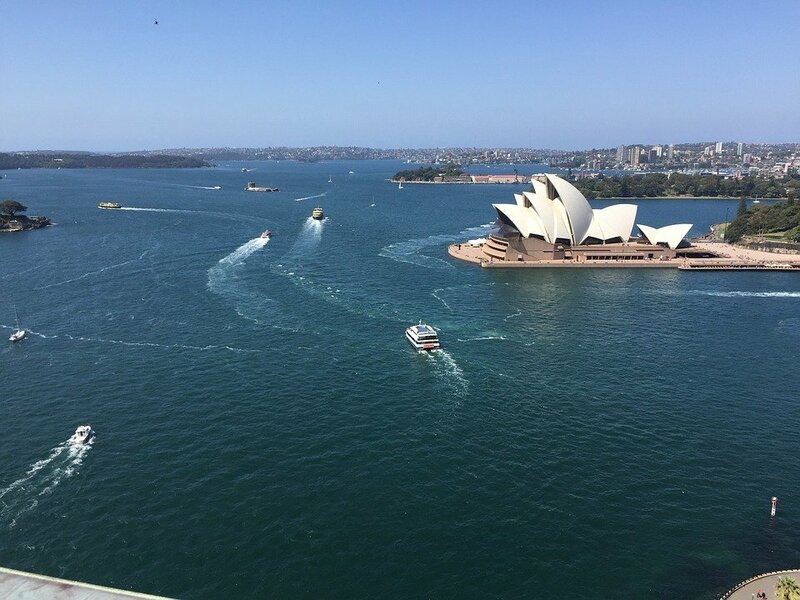 DAY 1: Arrive into Sydney, the capital of New South Wales, and be privately transferred to a frontline city harbour hotel with breathe-taking views over the Opera House and Sydney Bridge. Recover from the long flight by taking a gentle stroll along Circular Quay pass the iconic Opera House. DAY 2: Spend a full day exploring the beautiful harbour and city by sea and land. A morning harbour cruise on a luxury vessel as you relax and enjoy some of the iconic sights the city has to offer. This memorable experience will be concluded with lunch and a sampling of some of the best Australian wines. After lunch you will then enjoy the city part of the tour, with a private guide in a luxury vehicle passing some of the most affluent areas of the city taking some stops at Bondi Beach and Watsons Bay. The city tour will help you get your bearings and make the most of your short time in the city. DAY 3: A further day in Sydney to enjoy this great city by combining a Sydney Harbour Bridge Climb and a private tour of the Opera House. Using start of the art visuals and technology enjoy an insight on a modern iconic masterpiece. DAY 4 & 5: This morning you will be transferred to Sydney Airport for an schedule flight to Adelaide where you will then connect with a private charter to Arkaba. 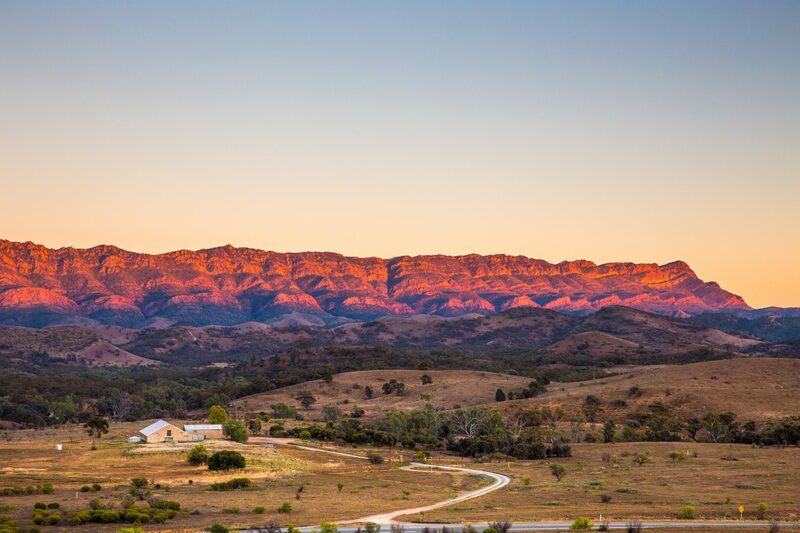 Arkaba is a traditional Australian homestead that offers luxury, comfort and style in steep contrast to the local surroundings of the Ikara-Flinders National Park and Wilpena Pound. Situated 400kms north of Adelaide in the northern central part of South Australia's largest mountain range. Arkaba is a private conservancy that is home to incredible variety of wildlife and birds. With just 5 bedrooms and no telephones or television it is an experience solely focused on the incredible outback. DAY 6 : Enjoy another day of selected activities on offer in this amazing property. DAY 7: This morning you will be transferred back to your private charter flight bound for Adelaide to connect with an onward scheduled flight to Kangaroo Island, famous for its abundant wildlife and natural beauty. An island focused on conservation it is relatively free of feral animals allowing the local populations of wildlife and birds to thrive. Imagine Kangaroo Island as the Galapagos of Australia! Sea-lions sunning themselves on white beaches, koalas sitting around, dozing in eucalypts, pelicans swooping low over lagoons, this island is a place of beauty, it is pristine and a place of escape. DAY 8 & 9: Discover Kangaroo Island for all of its glory - stunning nature walks, gastromonic delights, beautiful rugged coastline, abundant wildlife or just relax and absorb island life. DAY 10: Today you will take flight back to Adelaide for the night before transferring onto Lizard Island for the final part of your trip of Australia in style. DAY 11: This morning will be an early start as you depart Adelaide for Cairns and then onto Lizard Island. 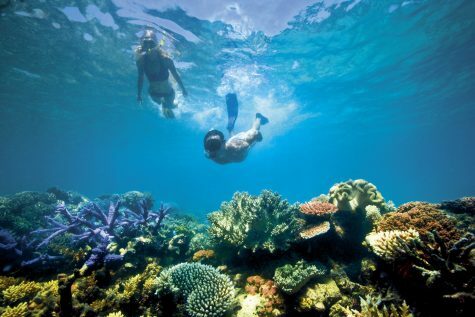 Located 240kms from Cairns Lizard Island is spectacularly located on the Great Barrier Reef in a conservation area where you are completely at one with the environment, the only thing you leave behind are footprints. Fringed with coral reefs perfect for snorkelling and scuba diving, 24 beaches of powder white sand many of which can be accessed by private boat for a romantic beachside picnic lunch. Other watersports such as a glass bottom boat or paddle ski do not appeal then you have the option for a self-guided walk around the island or indulge in your own health and well-being in the hotel day spa. 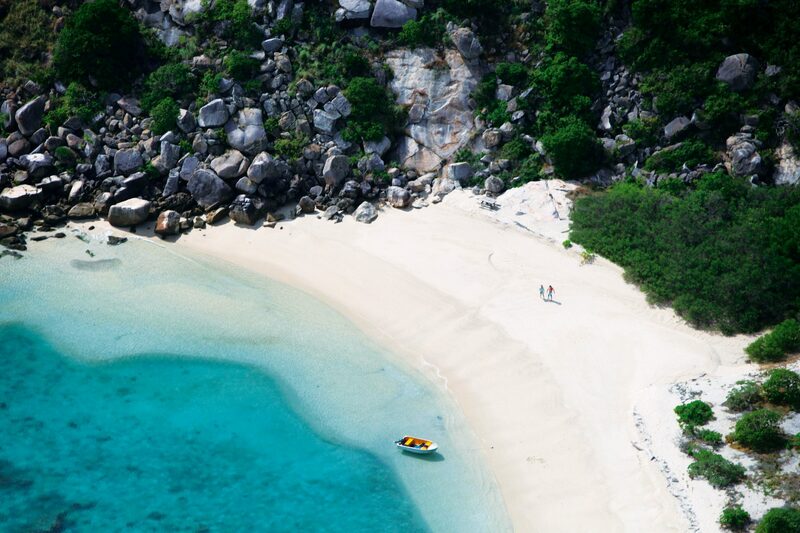 Lizard Island is the ultimate luxury resort and truly secluded, perfect for the end of an Australian tour.